Read the story of Ian learning how to trout fish with his Grandad. The book is both a story book and how to guide that tells about the preparation, excitement and adventure, of going trout fishing with lures & flys. 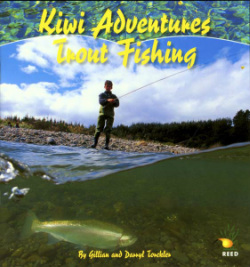 Gives safety tips; equipment, tips, types of fishing, trout spotting, catch and release tips and rules and regulations in information boxes scattered throughout the book. All photography taken in the lake Taupo region including underwater photography and split level underwater photography. Darryl was commissioned to take underwater photographs for New Zealand Geographic Magazine, and became interested in their life. He spent many hours in rivers in both the central North Island and Nelson-Marlborough district taking pictures of both rainbow and brown trout and their young. Gillian was once a keen trout fisherwoman and as any successful trout fisherman will tell you, she came to understand that you really need to understand the lifestyle and behavior of these fish in order to outwit them. 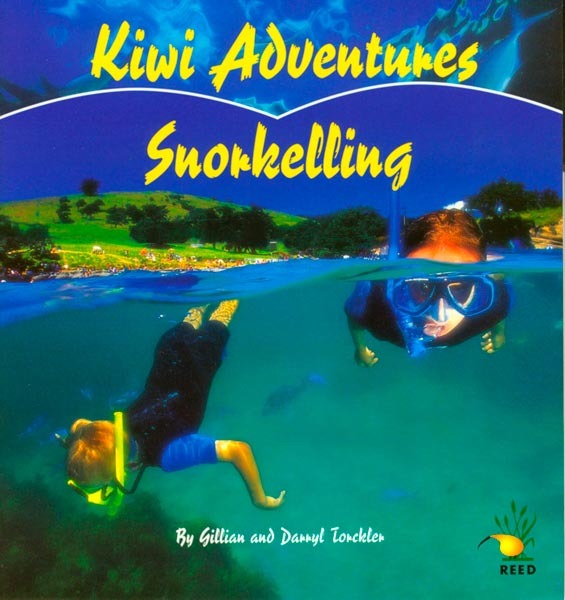 "These two non-fiction titles are real gems - I loved the underwater photographs In Snorkelling. The text is young reader friendly size, easily read and set out in manageable chunks." "Two great NZ books for young adventurers. Superb photographs, simple texts, and excellent glossaries…"
"Recommended for all youngsters who like to fish and is particularly good for those who are reluctant readers"